Earth Day Celebration 2017 with the Justin Ancheta Band at Ghirardelli Square went off grid in the best of ways. 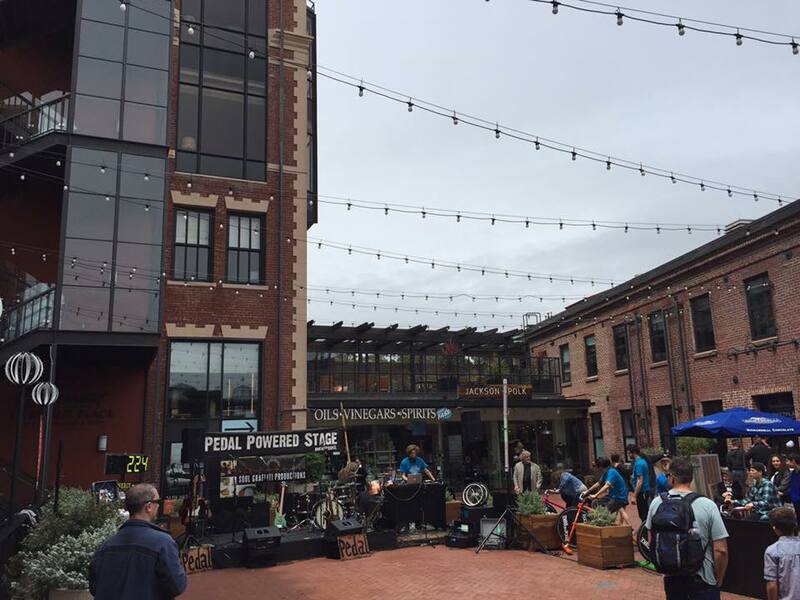 Thanks to the over 150+ pedalers and 1500 Watt Hours of clean pedal powered sound. We were able to consistently run sound from 12-4 pm without any cut outs with a 4 bike system! If you’d like to participate in our next show, email soulgbooking@gmail.com and we’ll plug you in! Thanks so much. AND, mark your calendar for October 4th at Strings, our favorite acoustic venue has invited us to do a special night of our songs. We will be recording audio and video this night with a live-stream you can participate in.